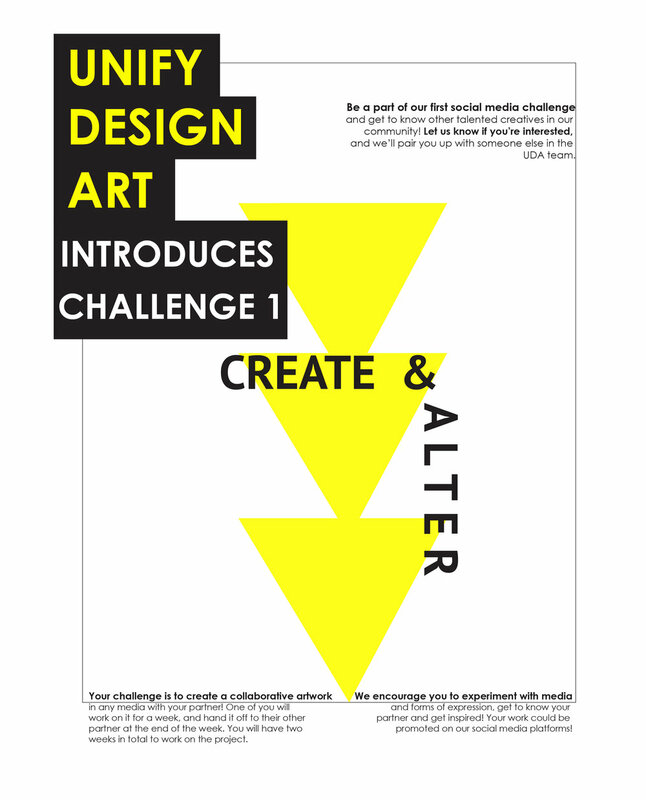 Unify Design Art is launching its first of many UDA Challenges. The UDA Challenge is intended to unify our current members and is meant to encourage them to work with each other from different disciplines and possibly from parts of the world. The challenge will be announced every Sunday through our Instagram @unifydesignart. Members would have until Monday 6pm Eastern Standard Time to comment their names on the weekly challenge post if they would like to participate.